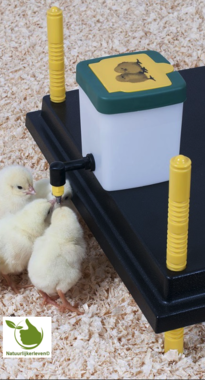 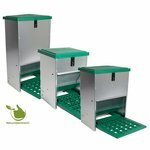 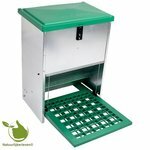 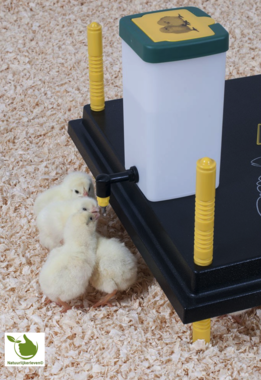 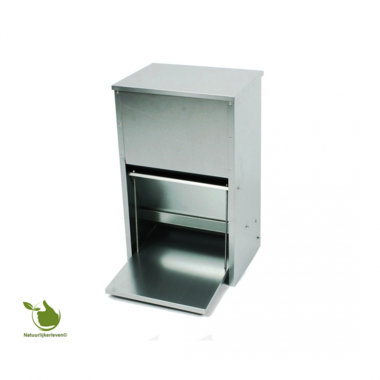 Wide selection of feed and drinking systems for all your poultry. 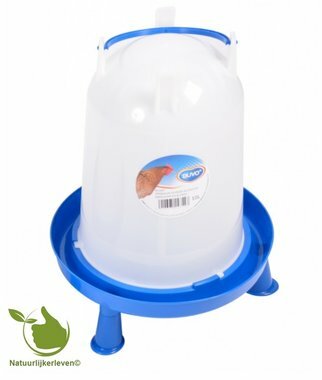 This bottle can easily be filled with clean water every day. 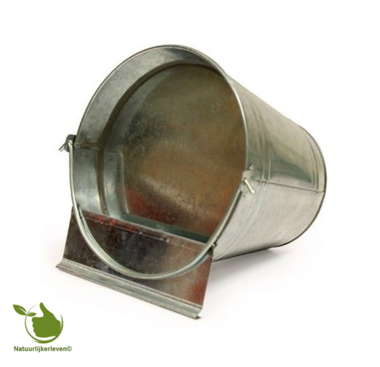 With these metal buckets you can water your chickens easily and quickly. 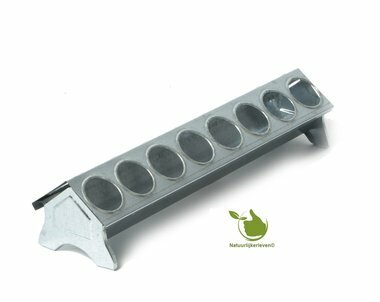 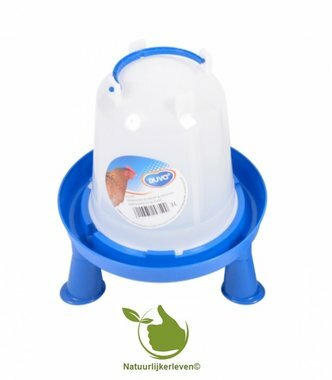 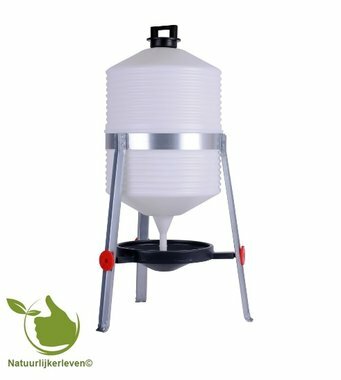 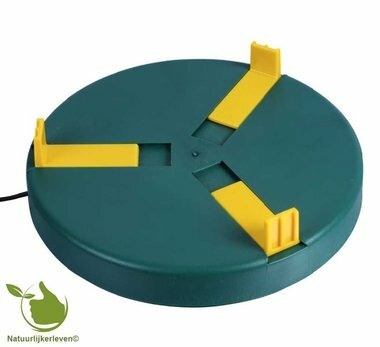 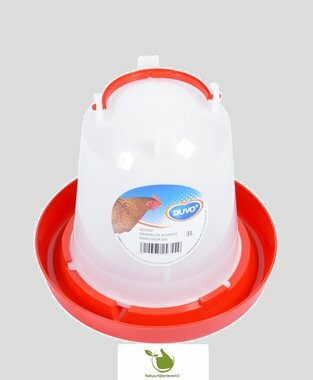 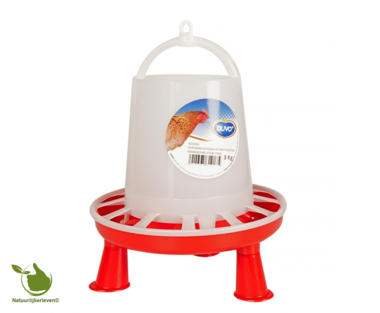 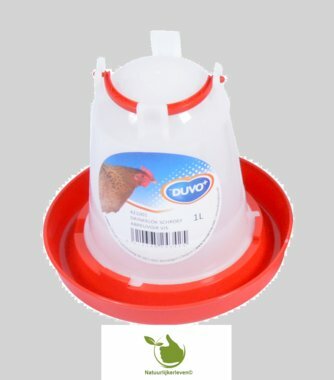 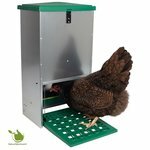 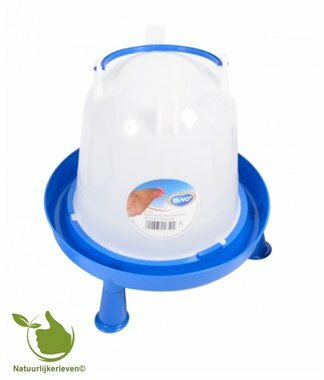 This feed silo from Duvo + provides your chickens or birds with food for a longer period.